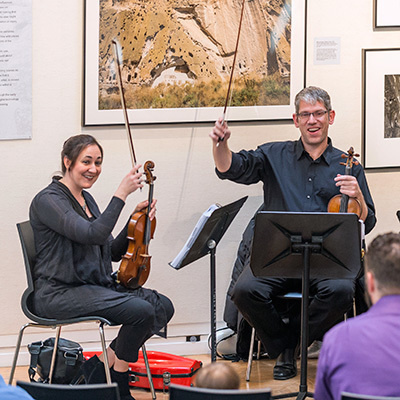 Visit the galleries and enjoy various small ensembles from the Tulsa Symphony performing repertoire spanning four centuries, from Renaissance and Baroque to Pop and Broadway music. Drop in for a few minutes of music, or stay for the whole performance. Free for members; free with museum admission for not-yet members.